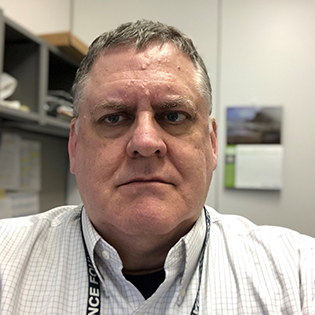 Dr. Frank Rack joined the National Science Foundation as a Program Manager for Arctic Research Support and Logistics in the Office of Polar Programs in 2016. He is responsible for NSF-funded field projects in Alaska and on vessels operating in the Arctic Ocean and surrounding seas. He is also the alternate COR for the NSF Arctic Research Support and Logistics contract. Prior to joining NSF, Dr. Rack was a tenured Associate Professor at the University of Nebraska, where he served since 2006 as Executive Director of the ANDRILL Science Management Office, a center focused on scientific (geologic) drilling and clean access (hot water) drilling into ocean and subglacial lake environments beneath the Antarctic ice shelf and ice sheet, respectively. Rack was Director of Ocean Drilling Programs at Joint Oceanographic Institutions, Inc., from 2003 to 2006, and Assistant Director, Ocean Drilling Programs from 1998 to 2003, where he was responsible for the ODP contract, the US Science Support Program cooperative agreement with NSF and gas hydrate projects with the Department of Energy. Dr. Rack earned his Ph.D. from Texas A&M University in 1992 and served as a research scientist at the University of New Brunswick (Canada) until 1998. Starting in September 2019, the international Multidisciplinary drifting Observatory for the Study of Arctic Climate (MOSAiC) initiative, will begin year-long observations in the high Arctic supported by the German icebreaker Polarstern, which will serve as a central observatory embedded within an extensive, distributed network of deployed sensors and instruments that will drift together across the Arctic Ocean, and when combined with additional airborne and satellite observations and modeling will be used to better understand the evolving Arctic climate system, and the role it plays in a changing global climate. This talk will describe the international framework and processes for planning the logistics of the project, developing scientific observing teams, organizing scientific contributions, coordinating the use of resources, and ensuring MOSAiC’s legacy of data and products, with a focus on the participants and projects supported by the National Science Foundation and other US federal agencies.